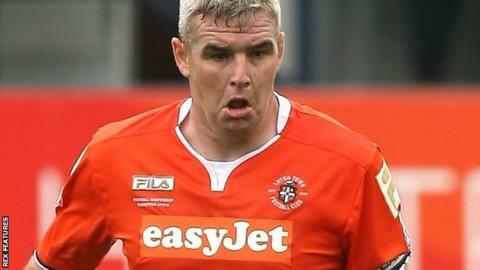 On-loan defender Steve McNulty netted his first goal for Tranmere as Rovers ended a five-game winless run with victory at 10-man Macclesfield. McNulty headed in Adam Mekki's corner early on before Tranmere were pegged back through Kristian Dennis' header. But Tranmere reclaimed the lead after the break when Michael Ihiekwe headed in another Mekki corner. Macclesfield were reduced to 10 men in the closing minutes as Paul Lewis was sent-off for a second bookable offence. Match ends, Macclesfield Town 1, Tranmere Rovers 2. Second Half ends, Macclesfield Town 1, Tranmere Rovers 2. Attempt saved. James Norwood (Tranmere Rovers) left footed shot from the left side of the box is saved. Hand ball by Jay Harris (Tranmere Rovers). Second yellow card to Paul Lewis (Macclesfield Town) for a bad foul. Lois Maynard (Tranmere Rovers) is shown the yellow card for a bad foul. Substitution, Macclesfield Town. Jack Sampson replaces Paul Turnbull. Goal! Macclesfield Town 1, Tranmere Rovers 2. Michael Ihiekwe (Tranmere Rovers) header from the centre of the box to the top right corner. Assisted by Adam Mekki with a cross. Ben Tomlinson (Tranmere Rovers) is shown the yellow card for a bad foul. Attempt blocked. James Norwood (Tranmere Rovers) right footed shot from the right side of the box is blocked. Substitution, Macclesfield Town. Danny Whitehead replaces Danny Whitaker. Attempt saved. Chris Holroyd (Macclesfield Town) left footed shot from the left side of the box is saved. Attempt saved. Danny M. Rowe (Macclesfield Town) left footed shot from the left side of the box is saved. Attempt missed. Kristian Dennis (Macclesfield Town) left footed shot from outside the box is too high from a direct free kick. Kristian Dennis (Macclesfield Town) is shown the yellow card for a bad foul. Substitution, Macclesfield Town. Neill Byrne replaces Dan Cowan. Substitution, Tranmere Rovers. Ben Tomlinson replaces Gary Taylor-Fletcher.